I have a team member who just got a really nice weapon with one of the new traits. How exactly does this new trait work? How do extra charge points help? 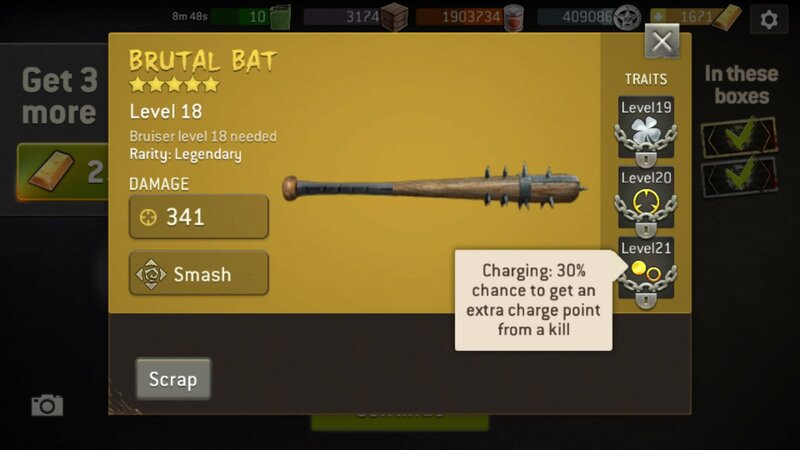 It speeds up your survivors special attack faster. Does anyone know if luck stacks onto the charging trait? Oldgoth initially said yes, then he took it back and said it needed more looking in to. Does anyone know if you can charge this trait whilst using the charge ability? Thanks @JVC_TWD ! I agree, it would be very nice! That is true for some classes. For the shooter class which does get a charge point on the second kill you would have a 30% chance to charge super off that one kill. I have not tested this but I'm pretty sure that's how it would work. Thanks @piffolomania and @JVC_TWD ! I want silver Range, gold Luck and gold Charging. Best traits for pistol now IMO. And I think it should stack with luck as any other chance dependent traits, but everybody waiting for confirmation. Maybe. But Charging seems more appealing with 60% chance of two shots every turn. 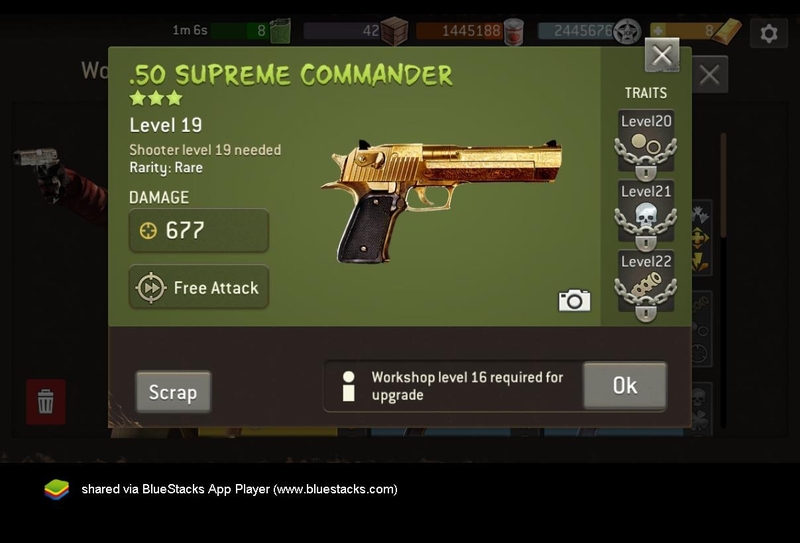 But I will gladly upgrade silver Range, gold Luck, gold Silencer lvl 19/22 when I will find it. I would prefer the silencer to the charging trait personally. It reminds me too much of the extra turn trait on scout weapons and seems very easy not to notice when someone is playing in fast mode to avoid the auto-center. I used to FF, can't play without it now. 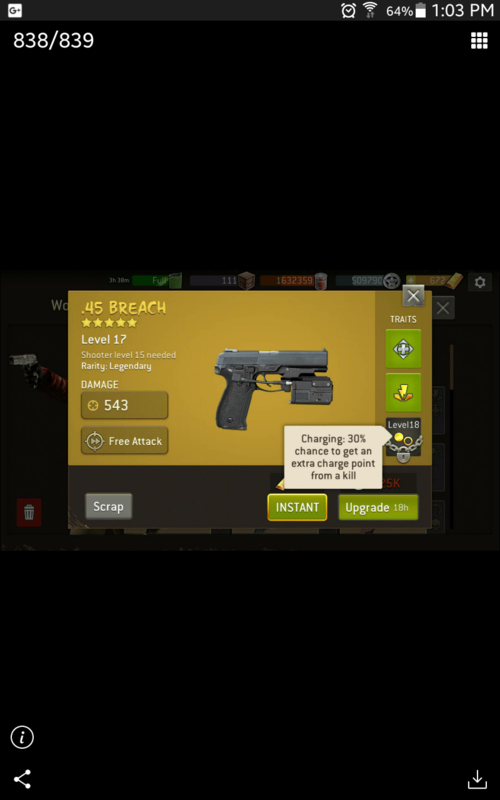 Did you buy Rick's silenced gun? No. I have not purchased anything from ngo since I was banned on this forum. @DarkFae Anyway it was strange deal, as somebody said: why interrupt and silenced in one gun if overwatch don't attract walkers anyway. I'm confused silenced can happen during a regular AP once charged also correct? @DarkFae Didn't use silencer yet, but basically silencer can happen in any attack that normally draws walkers, so it is: any attack except overwatch and when using shooter's "Free Shot" charge ability which not only don't attract walkers - I just tested it and it takes away one walker from next wave! I didn't know that. Wiki: Free Attack that grants a bonus shot that doesn't attract walkers and will always be a critical hit. The second shot is a normal one. Second one was: Maybe it's a bug? Then I rechecked 3 times and when my attack draws a walker - he appears and bottom line with walkers shining red, but when I use Free Shot - walker goes away and it is shining GREEN. So third thought was again: WTF?)))) If it's a bug - it has special effects. Oh I see thank you for explaining it. So the silenced trait would only be useful half the time it is activated. Is that the issue we are talking about here or am I still not getting it? I'm not arguing (just for clarification for others who are monitoring this convo) just trying to understand better is all. I have not had a chance to try the silencer trait out either but have been lucky enough to pull a few rare guns/riffles with the trait. Wondering if it is worth it to spend the Xp to unlock at this point. @PR0DJ Oh I see thank you for explaining it. So the silenced trait would only be useful half the time it is activated. Ok, see: you are lucky to pull weapon with gold Luck and silver Silenced. 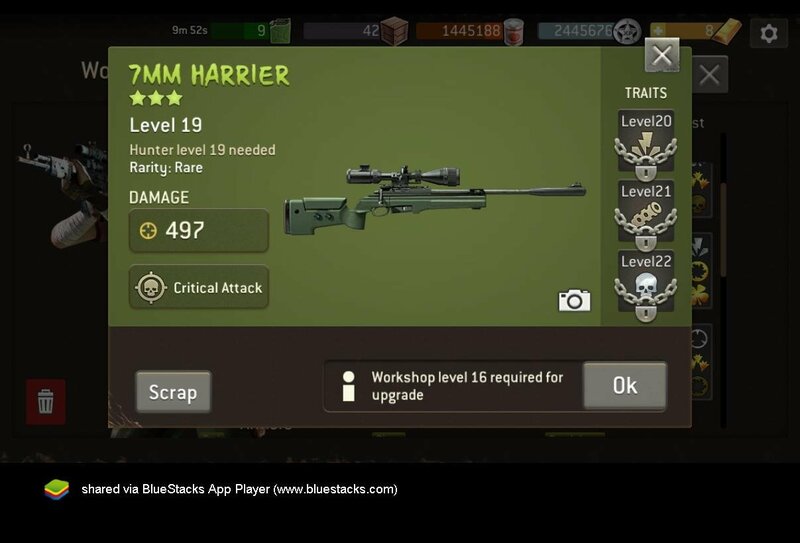 Unlock this trait and it has 40% to not attract a walker and we all assume that Luck stacks to it like it stacks to the Dodge (but still no confirmation from Devs), so if your Survivor has 15% Luck - it will be 40%(silenced)+15%(luck on gun)+15%(luck on survivor) = 70%. If gold silencer is 60% (I am not sure - don't remember and don't have to check) - it can go up to 90% chance that your attack will not attract the walker. 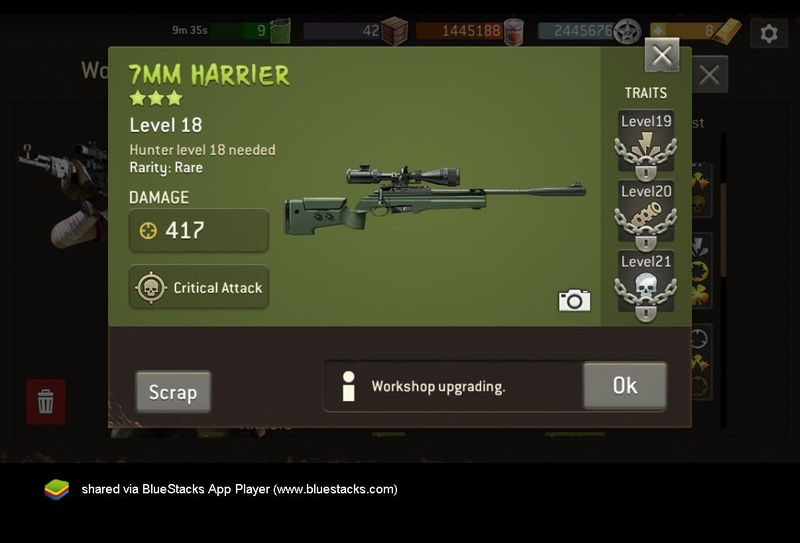 @DarkFae So if you want a real Silencer - don't bother with upgrade of green gear, just wait and you will pull blue or yellow with luck+silencer. Wish you luck with that if you are really into that trait. Thank you again and I agree. It's not worth it to unlock in green unless you can't find in blue or gold or you are desperate to have the trait. It would seem logical that since it is a roll-able trait that it would stack with luck. I hope the devs decide to keep that rule as the norm. @BlackWidow You can change the title of the thread to: "How Charging and Silenced traits actually works?"